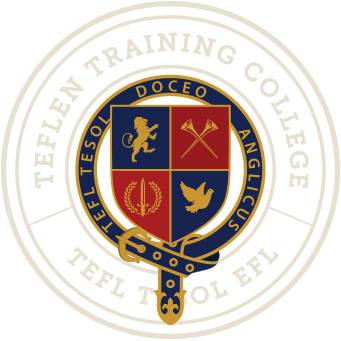 Teflen Training College courses are flexible and affordable; the professional teachers at Teflen have constructed a cutting edge learning system, amalgamating the latest theories and techniques in TESOL TEFL. Start your TESOL journey today with your own Australian trainer who can assist you through each step of the course. All Teflen teachers are highly qualified teachers of English and will provide you with the highest level of support. Each year, hundreds of millions of people around the world study English as a second language. Currently the demand for fluent and native English teachers is huge.More than 250,000 English speakers are employed to teach English abroad every year - and the vast majority have no teaching experience prior to earning their certification. Whether you are interested in teaching adults, young learners, business English, one-to-one or a simply looking for a new exciting career, find out more through our online training college, or request a call back via our live chat. Can I teach English? If You Speak English, You Can Teach English. convenience. Course hours are flexible and students can study at their own pace. If students require more time than the suggested hours, they can take up to a year to complete the course. Preparing your Cover Letter & Resume. You could choose to utilise our sample cover letter and resume, or build your own. Job interviews for TESOL TEFL positions are usually conducted over the telephone or online video chat. After a successful interview graduates begin to receive employment contracts.Learn More If you have any questions, you can always send your Australian trainer a message and they will answer shortly, you’re in good hands with Teflen. Before going abroad...Click Here for resources that will help you prepare for your journey. These resources include: Teflen travel checklist, safe travel, how to pack efficiently, teaching lesson plans, activities & more. And finally Why should you choose Teflen Australia. Teflen TEFL Institute provides world class online TEFL Training courses, which comes at an affordable price. We teach all types of TEFL courses. Simply, select your course and find the right path to the field of English teaching abroad. Online TEFL and TESOL courses certification, Australia. Online international TEFL institute that provides internationally accredited TEFL TESOL certification courses Australia. Take a TEFL course with Teflen to teach English abroad.